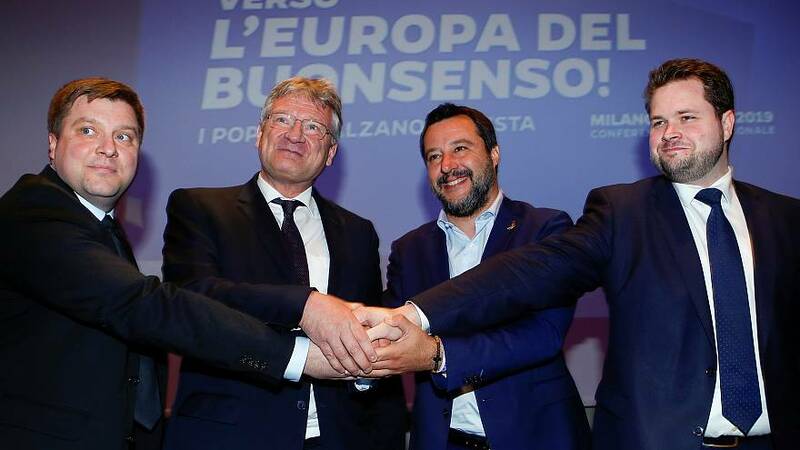 Italy's Deputy Prime Minister Matteo Salvini has launched his movement to unite populist leaders across Europe. The kick-starting event held in Milan was noticeably missing some of the biggest faces of Europe’s far-right, including Marine Le Pen of France’s National Rally and Hungarian President Viktor Orban of the Fidesz party. Prime Minister Theresa May will travel to Berlin and Paris on Tuesday for talks with European leaders Angela Merkel and Emmanuel Macron ahead of the Wednesday’s EU summit. UK Foreign Secretary Jeremy Hunt told his counterparts in Luxembourg that the UK still hasn’t given up on finding a Brexit solution. The UK is set to exit the EU on April 12 unless another extension is given this week. The results of French President Emmanuel Macron’s “Great Debate” were released on Monday after 10,000 hours of town hall discussions and 1.5 million online contributions were gathered in response to the yellow-vest protests. The French government had set out on a nationwide listening tour earlier this year, with hopes of quelling protests that evolved into anger over the cost of living and wages, which have rattled the country for months. Civil unrest in Libya escalated over the weekend as forces loyal to Khalifa Haftar — a former general under then-leader Muammar Gaddafi — continued a violent push to take the nation’s capital city of Tripoli. The UN-backed government led by Fayez al-Sarra has reported that 25 people were killed and 80 others injured in the fighting. UN estimates say over 2,000 Libyans have been displaced by the civil war and many more could flee. On tonight’s episode of Raw Politics, host Tesa Arcilla and our panel debate the effect the crisis may have on the 2019 European elections.